Living in a two bedroom flat, it’s very easy to accumulate more stuff than is physically possible to store. As someone that likes to own a lot of things, I find that a great way of keeping on top of it, is by regularly decluttering. My motto is little and often, I like to clear a drawer or cupboard at a time and put things aside. Whereas I would previously donate to charity or pass them on to family and friends, this summer we thought we might try the car boot way of doing things to make some extra cash. Both car boots have been equally successful (we made just over £250 both times, and that excludes the cost to pitch and change float). The first was on a drizzly morning mid-June and the second was a chilly but sunny Sunday morning in September. The items sold at these two car boots are items we had in our home that we didn’t have any use for or no longer wanted to keep. We’re not resellers, traders, dealers or professionals. So you’re probably wondering, how did we manage to sell £500 worth of stuff in just two car boot sales? 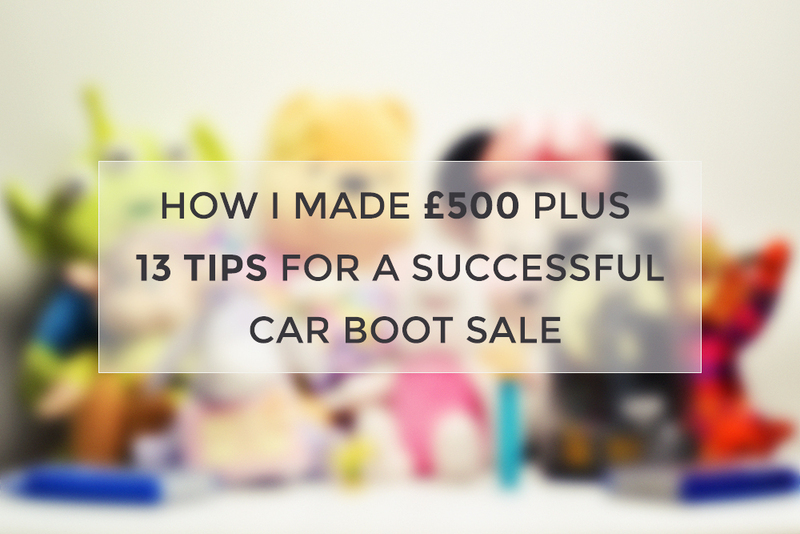 Here are all of my tips for making good money at a car boot sale. 1. Organise the stuff you have to sell BEFORE the big day – group and bag everything up so that you can easily locate and display similar items together. There’s not a lot of time to set up before the car boot sale opens, so you want to get as much of the hard work done beforehand. 2. Limit large items – furniture will take up a tonne of car space so limit large items unless you’ve still got room once you’ve loaded the car up with everything else. 3. Bring a float – we found that having a ten pound note, a five pound note and £10 worth of a variety of coins was about right. It’s often the way that the first few people that want to buy stuff won’t have the right change. 4. And a friend – I don’t know if it’s just luck or the stuff I had to sell, but both times our stall was really busy for the majority of the sale. Having two people helps keep everything going when it gets busy. Also if one of you is the chief seller, the other person can keep everything tidy and looking presentable. 5. Use a bum bag – it keeps your hands free, but it means your money is right there when you need it. I kept notes in one section and change in another and it just helped to keep the money safe and organised. 6. Take plastic bags – you’ll be surprised at the number of people that will refuse to buy an item if you don’t have a bag to give them. We found that so many people needed plastic bags so take as many as you can. 7. Decide on prices before you go and keep them low – generally you’re not going to get more than £5 for anything at a car boot. If something is worth more than a few pounds then it’s probably best to sell it on eBay. However, it’s worth having rough prices agreed beforehand so that you don’t have to think on the spot. If you feel an item is worth £3 – you don’t have to accept £1, stick to your guns and if they really want the item, they will pay it. 8. 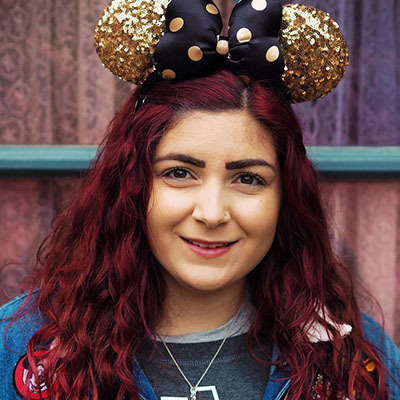 Don’t price things up – I’ve heard mixed opinions on using stickers to price items up but I’m of the opinion that if items aren’t priced, people are more likely to ask the price and haggle. I didn’t price anything up for either car boot sale other than a HUGE box of nail polish that I offered 3 for £1 (and they sold like hot cakes). 9. Take a clothes rail if you’re selling clothes – sure if you only want 20p per item then leave clothes in a heap for people to sift through but if you’d like to get £2-3 per item then it’s worth taking the time to hang items neatly on a clothes rail. Presentation really helps. 10. Video electrical items working – if you’re selling items that need to be plugged in, film a short video on your phone to prove that the item is working. It might help convince a doubtful buyer. 11. Think about how you display things – if you have any spare storage baskets, use them to display things nicely. People like a good rummage, but your stall is your shop window so you want to make it as inviting as possible. 12. Take plenty of drinks and snacks – standing for hours, haggling, can be tiring work so be sure to take plenty of food and drink so you don’t spend all your hard end cash at the burger van. 13. Lower prices in the last hour – I’d rather sell as much as possible than bring things home so when things slow down in the last hour lower your prices to make that last bit of cash. And that’s a wrap! In all honesty car boot sales might just be my favourite discovery of 2018 but I’m still fairly new to selling. Having said that, I think I’ve picked up a fair few handy tips along the way which I hope will help you too. What are your tips for a successful car boot sale? Are you a fan of car boot sales?